A few days back, a team of scientists at the Chengdu Aerospace Science and Technology Microelectronics System Research Institute Co (CASC), China, developed an artificial moon that will soon replace streetlights in the country. Now, researchers at China's Hefei Institutes of Physical Sciences have apparently developed an Earth-based Sun simulator capable of producing a temperature of 100 million degrees Celsius. 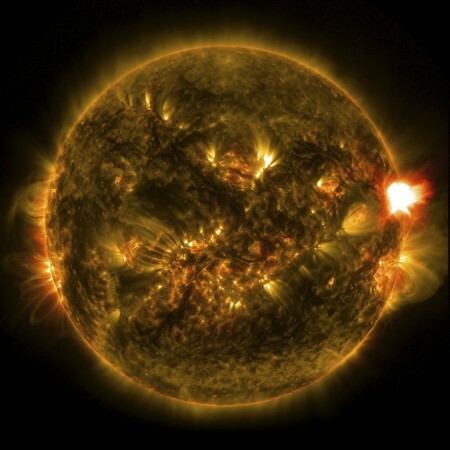 It should be noted that the core of our real Sun is just 15 million degrees Celsius hot. Experts believe that the newly developed China's artificial sun will soon emerge as a cheap and clean source of energy using nuclear fusion. As per experts, 100 million degrees Celsius is touted to be the minimum temperature required to trigger self-sustaining nuclear fusion on Earth. Interestingly, an artificial Sun is the name given to nuclear fusion experiments, and it is not similar to the artificial moon that China is planning to send up to space soon. Nuclear fusion experiments are trying to replicate the energy generating process in the Sun, and to achieve this goal, researchers in China had set up the Experimental Advanced Superconducting Tokamak (EAST) fusion reactor in 2006. In the process of nuclear fusion, two hydrogen atoms will combine together and produce a stream of clean energy. Experts argue that energy generated through this method could be the solution for energy needs as the non-renewable natural sources of energy are depleting day by day. "Nuclear fusion is arguably the best way for human beings to get energy. In terms of raw materials, deuterium and tritium required for nuclear fusion are almost inexhaustible in the ocean. Besides, nuclear fusion does not produce any radioactive waste, so it is extremely environmentally friendly," said the researchers in a recently issued statement. A few weeks back, researchers at the University of Illinois had developed a catalyst capable of splitting water molecules for hydrogen fuel production. The study report which was published in the journal Angewandte Chemie suggested that the catalyst made from mixing metal compounds with perchloric acid can easily break the bond between hydrogen and oxygen in a sustainable manner. Earlier, a team of scientists at the University of Cambridge has formulated a new method to generate an unlimited source of renewable energy using a technique called 'semi-artificial photosynthesis'. 'Semi-artificial photosynthesis' basically mimics the natural process of photosynthesis in 'semi-artificial' manner, a method which is basically a blend of manmade technologies and biological process.